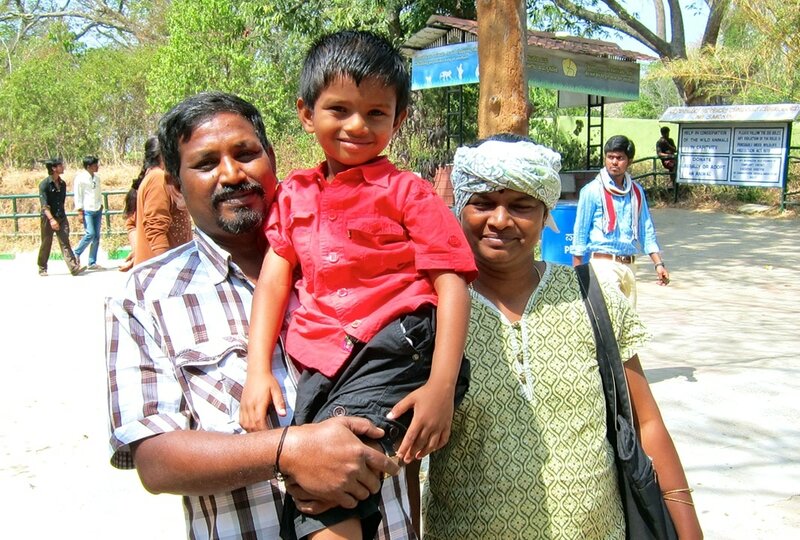 Vali and Rajan with son Deepak on a family outing. Anisha (meaning "from darkness to light") was founded in 1994 by Ms. Valliammal Krishaswamy. Anisha is dedicated to assisting the poor regardless of their caste, religion, gender, religion or language. The focus of the work of Anisha is the improvement of the livelihoods of small scale farmers and landless labourers in the drought-prone district of Chamarajanagar by reverting to the abandoned practice of organic farming that had prevailed in the region until the so-called Green Revolution in the 60ties. Together with ﻿Susila Dharma Germany﻿, a member organisation of Susila Dharma International, a plan was developed for a 2 year pilot, to be followed by 6 years of funding from the German Government (Federal Ministry for Economic Cooperation and Development). Funding officially ended in December 2014. For her future work with the former project participants who have asked for continued support, Anisha now solely depends on income from the sale of various proceeds, from receiving guests at the RC and private donations. Valli Krishnaswamy holds a Master in Sociology, a Bachelor in Law and a Diploma in Industrial Relations and Personnel Management. She has worked in Bangalore for the rehabilitation of childworkers, later with migrants from rural areas who had abandoned farming because their land was not productive anymore. Ms. Valliammal saw the connection between urban poverty and the plight of the rural poor, and decided to find ways to improve the productivity of degraded farmland in the region from which also the family of her husband and colleague Rajan had migrated for the same reason.